L.A.X – Sign Si (Baddest Riddim). 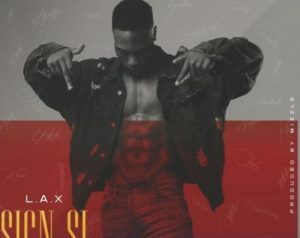 Rasaki comes through with a lovely new single and L.A.X ushers a new one for his fans titled “Sign Si” (Baddest Riddim). He dazzles his fans on this new song on the Mizzle produced single and we totally love this one he dropped to celebrate his birthday. Without further ado, get the brand new audio below and enjoy Right Here on Ariyabase Media.